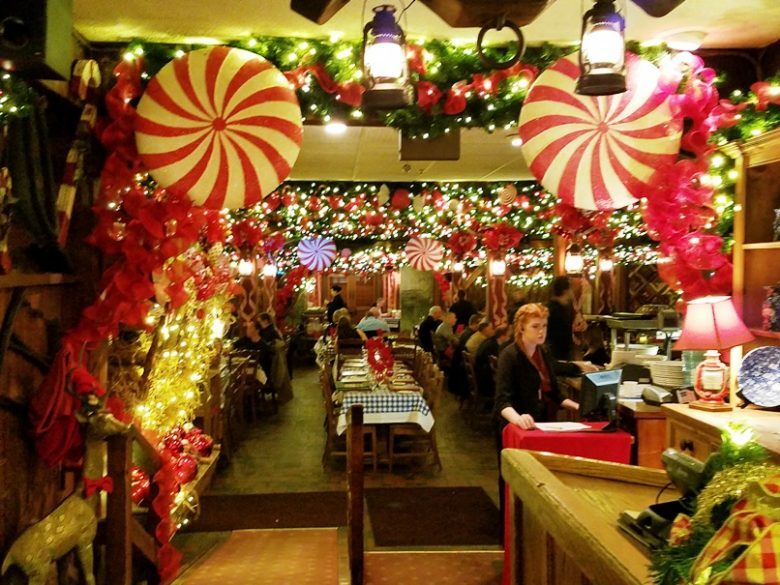 Retake: The Angus Barn in Raleigh For Aged Beef and Holiday Magic! 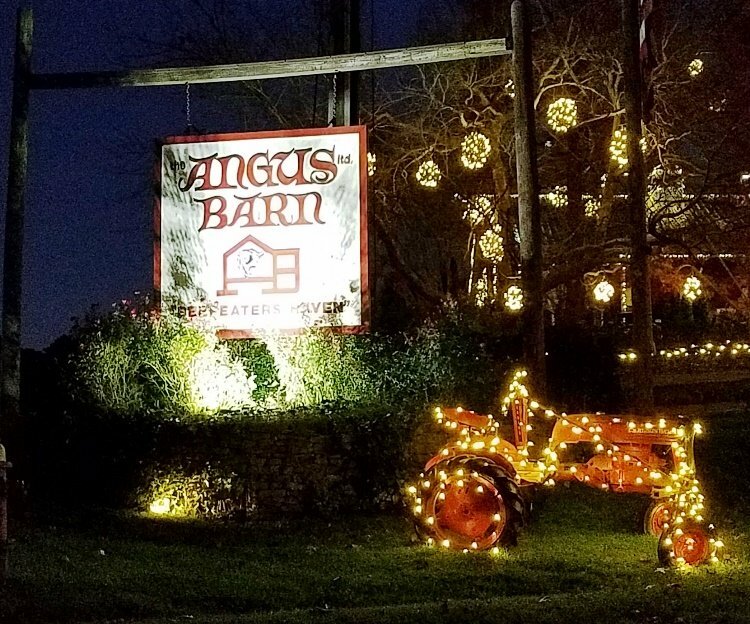 Located on the south-bound side of Glenwood Avenue at the Lumley Avenue intersection, you can not miss the Angus Barn because of its size! A huge sprawling red barn, the Angus Barn is totally lit up for the holidays with white lights. If you’re headed to RDU airport, the Angus Barn sits conveniently on the north side of the landing field within easy reach of the terminals. As you pull into the parking lot at the Angus Barn, you realize how big the place must be given the number of spaces and how full they are! Past the covered patio front of the restaurant, I head on inside to the warmth of their main dining room. Up front, the lobby is bustling with people and activity. General store to the left, hostess kiosk in front, everything is cheerfully adorned in red, white and green for the holidays! The dining rooms are pretty rustic with checked cloth tables and a farmhouse feel. Tonight we’re dining upstairs in the Wild Turkey Lounge. As we head upstairs you pass through a lobby area with their centerpiece Christmas tree. It’s nearly 30 feet tall and stretches upward to meet the timbered high ceilings here. 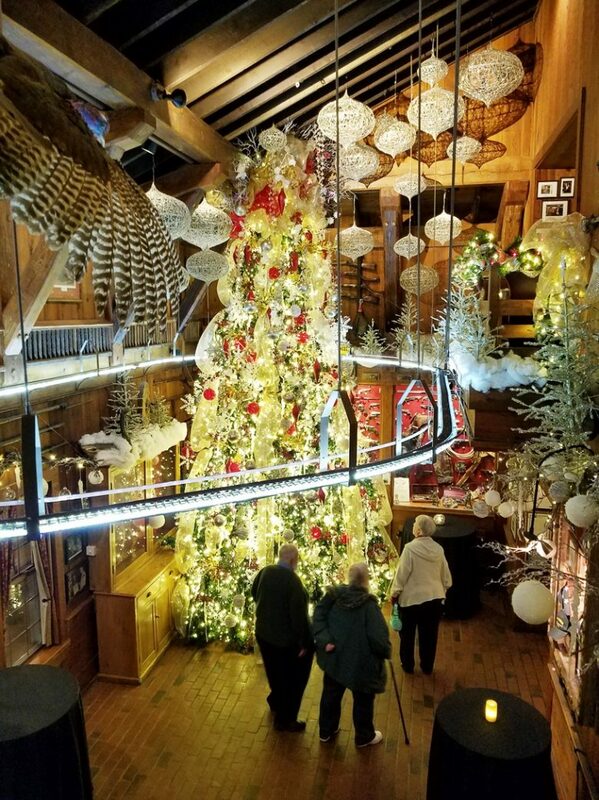 A stunning holiday display along with a display of antique firearms and pistols in back. In the Wild Turkey Lounge the space is jammed with diners and drinkers. One large bar in the center with leather stuffed seating to the right and left. There’s a small dining area primarily consisting of 4-tops in the back and seating is first come, first served. It all feels very warm and cozy, this lounge seems to be very popular with the old guard Raleigh crowd and locals. We grab a couple of seats at the bar to keep things simple tonight, the lounge is already 95% full by 6pm! I order up a glass of wine to get my meal started, the Angus Barn is known for its extensive wine list and has one of the best wine cellars in the country. And before you even start your meal, the Angus Barn offers up complimentary olives, pickles, crackers, and cheese at a table. Most long-timers LOVE the cheese here but I chose not to fill up on extras. 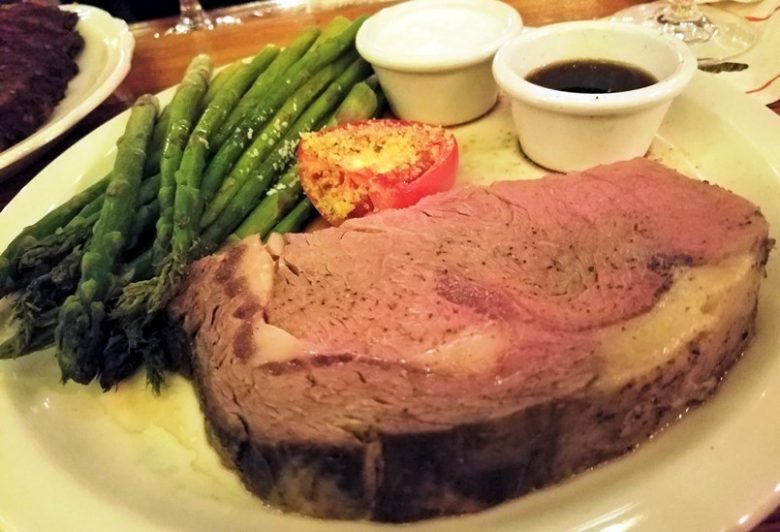 The menu at the Angus Barn is pretty typical steakhouse offering up dry-aged beef, along with ribs, crab, lobster and a handful of other choices. While the entrees in the Wild Turkey Lounge range from $25 to $50 (potato-starch included), the main dining room entrees also include a salad-soup and is priced higher for the additional starter course. 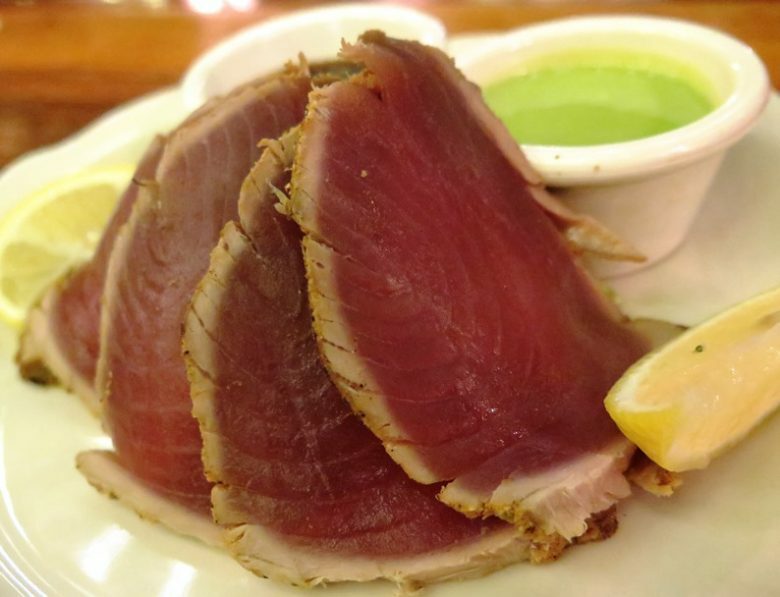 We start our meal off with the ahi tuna appetizer, four nicely seared slices of deep pink fish served with a soy-teriyaki and wasabi sauces. 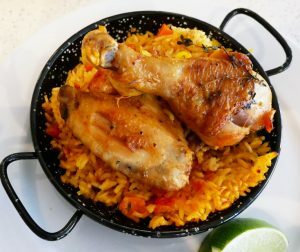 A basic and nicely done dish that is a light bite before our meat-filled meals coming later. 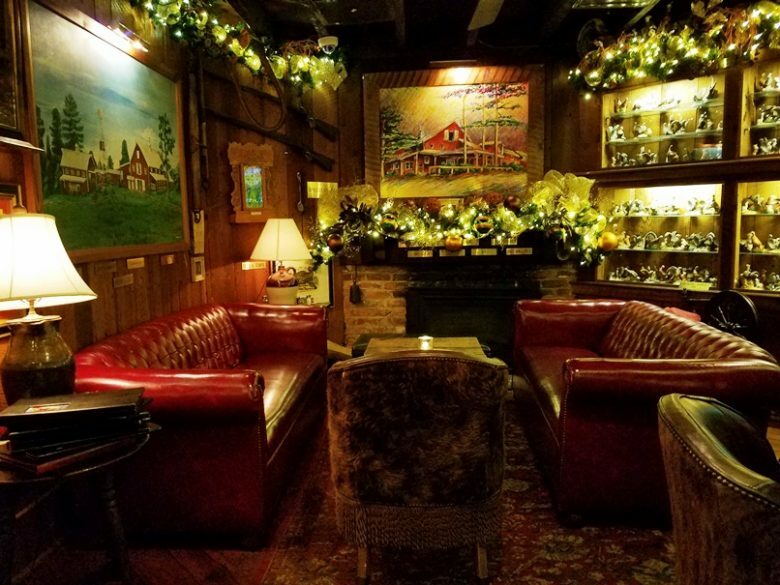 The Angus Barn has about a dozen appetizers on the menu ranging from French onion soup, shrimp cocktail, king crab claws and oysters ranging from $8 to $20+. For our entrees, I’m going with the combination prime rib and barbeque ribs while my table mate also gets the ribs and a double-stuffed potato. My meal shows up and the prime rib looks great! About an inch thick and pink in the middle with plenty of fat around the edges. Served simply with some au jus, horseradish sauce and a grilled tomato. We’ve both got pork ribs but the entree portion comes as a full rack and a half, whoa! 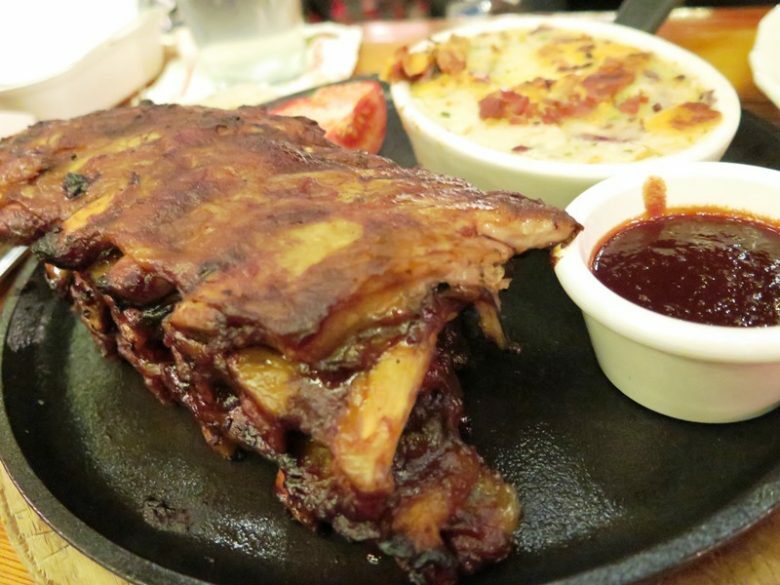 The ribs at Angus Barn are tasty and come off the bone easily. Overall the meats here are well-prepared but a bit under-spiced in terms of salt and spicing. 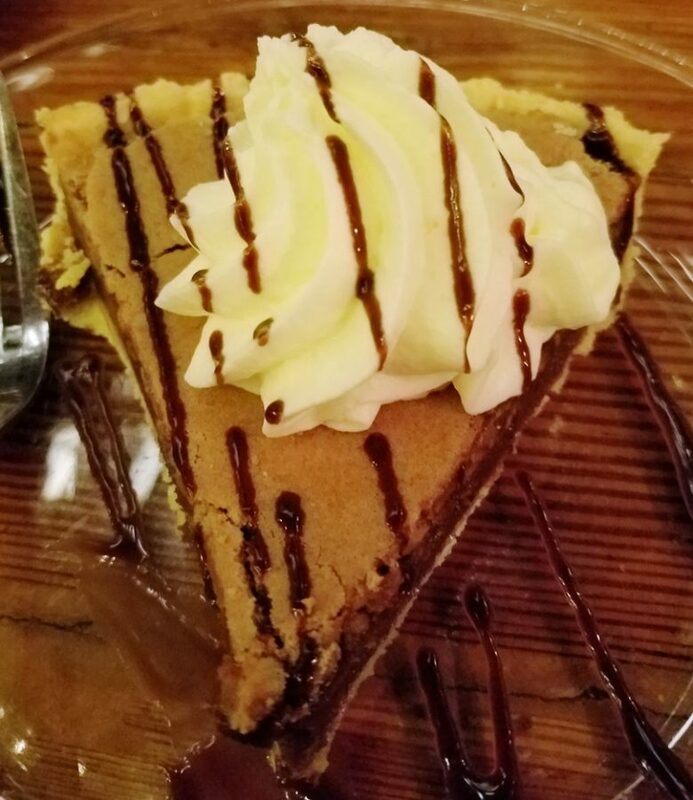 My chocolate chess pies is a nice finish to the meal and is apparently the signature Angus Barn dessert. And what can I say about the service at the Angus Barn but it was stellar. I’ve dealt with them a handful of times over the phone and such and they are EXTREMELY well-trained in terms of hospitality. The bartender in the Wild Turkey Lounge was not only handling a huge crush of customers, she was taking care of all our needs without even having to be asked. And as I left the Angus Barn I did come to the realization of what makes this place so special for Raleighites. 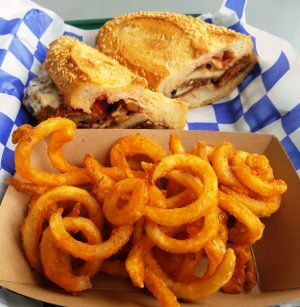 While the food falls in the middle of the road for me in terms of options and flavors, it’s the type of place to bring your family and parents who may be picky eaters. 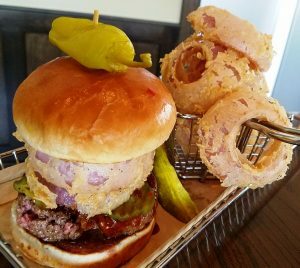 It’s a place to celebrate and enjoy solid American fare and be assured of a great dining and service experience. And while for me, personally, it wouldn’t be at the top of my list due to price and location, it totally serves its purpose for a lot of others. So thanks so much Angus Barn! I really enjoyed visiting you for the holidays and may your lights shine ever so bright for another 55 years!